So you remember that gift knitting I put on hold because WALRUSES!!! Some of it has come together. When we were up visiting Mr Liu’s extended family, I found out that his nephew likes Minecraft. Since I see Minecraft themed stuff on Think Geek every now and again, I filed that information away to be used for gift giving holidays. 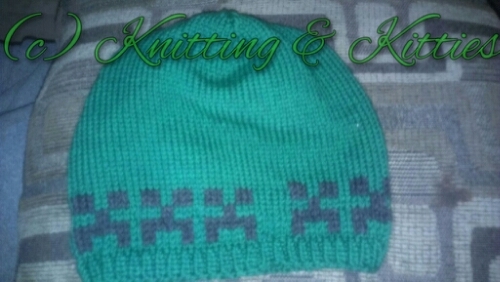 With the help of the all knowing Ravelry, I found a creeper hat he might like. 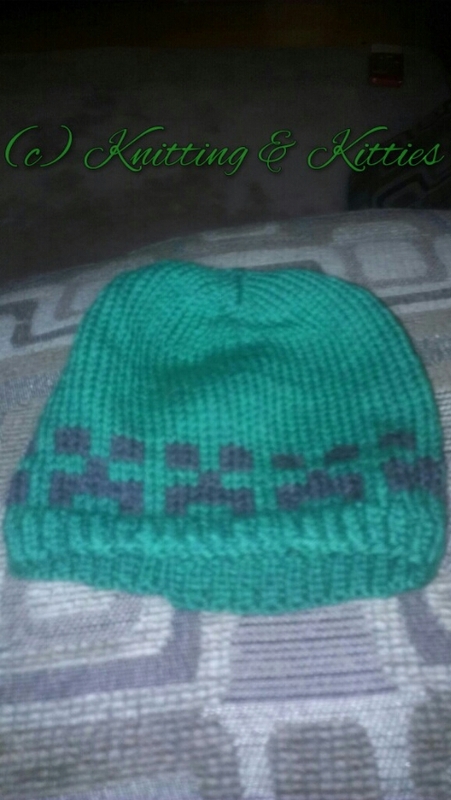 I got some Cascade 220 in highland green and cast on the “kids” size without actually doing the math to find out what the final circumference of the hat would be. It was apparent about halfway through the project that it would be too small for the seven year old’s head. I finished it anyway. Then I stuck it on LittleBoyLiu’s head. It fit, but just. THEN I did the math to get the circumferences on the three sizes to see which one I should cast on for Mr Liu’s nephew. Turns out I had to cast on the adult large. We are a big headed people. The only thing I don’t like about it is the gap in the back that is entirely my fault because I forgot the pattern at home and was going from memory. 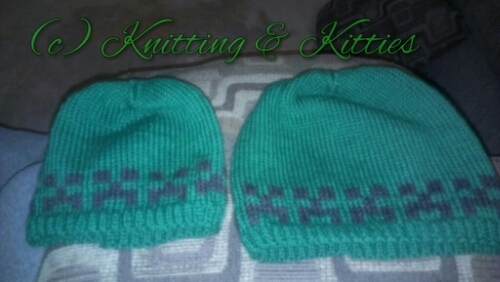 The smaller hat will go to my nephew, who is two (I think?). Younger than BabyLiu, older than LittleBoyLiu. So between 18 months and four years old. Hopefully it will fit him. I’m a little worried it will be too small. Like I said, we are a big headed people. 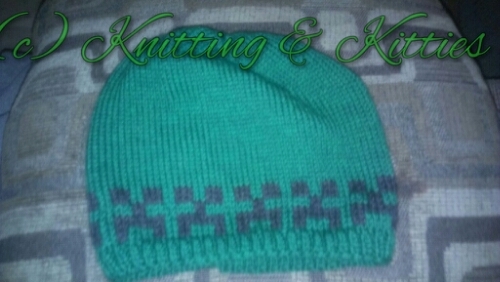 This entry was posted in Baby, FO, gift knitting, Holidays. Bookmark the permalink.